Corpus Christi Catholic Community: Weclome to Corpus Christi Catholic School! Weclome to Corpus Christi Catholic School! The uniqueness of Corpus Christi Catholic School is its dedication to a personal and positive approach to learning and discipline, in partnership with parents, the primary educators of their children. Grounded in the values of the Catholic faith, the multi-cultural school community, adults and children alike, are challenged to live the Gospel values. Our role as Catholic educators demands that we help children to develop fully, not only intellectually, but also spiritually, physically, emotionally, and socially. Intellectual development is grounded in a sound basic curriculum provided by the Diocese of Fort Wayne/South Bend and delivered through multiple teaching strategies. Students actively participate in lessons, for research suggests that the best learning occurs if multiple senses are used. School is the child’s workplace, and the work is appropriately demanding. Meeting high academic standards develops each student’s self-esteem, not just as a fleeting “feel good” sensation, but as a lived experience of competence based on successful completion of challenging academic work. A sound religious education program, coupled with many experiences in age-appropriate liturgies, empowers students to develop their spiritual lives and to integrate faith with life. As educators, our religious commitment must be deep and its translation relevant for children, as they experience God’s love through us. Moral values are deliberately integrated throughout the whole school day, so that religion is not only a subject taught, but also a reality lived. Our students learn that the church and the school together create the entity called Corpus Christi Parish. Our parish has identified Catholic education as one of its primary ministries. The curriculum at Corpus Christi School, as based upon diocesan guidelines, seeks to meet the needs of all students and is integrated with the Gospel values set forth in our philosophy. The content and methods used in the different subject areas reflect concern for the students' academic and moral growth. Christian values are infused in the daily interaction between students and teachers and among the students themselves. Through a well-defined curriculum, enrichment opportunities and supplemental programs we strive toward excellence in learning and harmony in our school atmosphere. 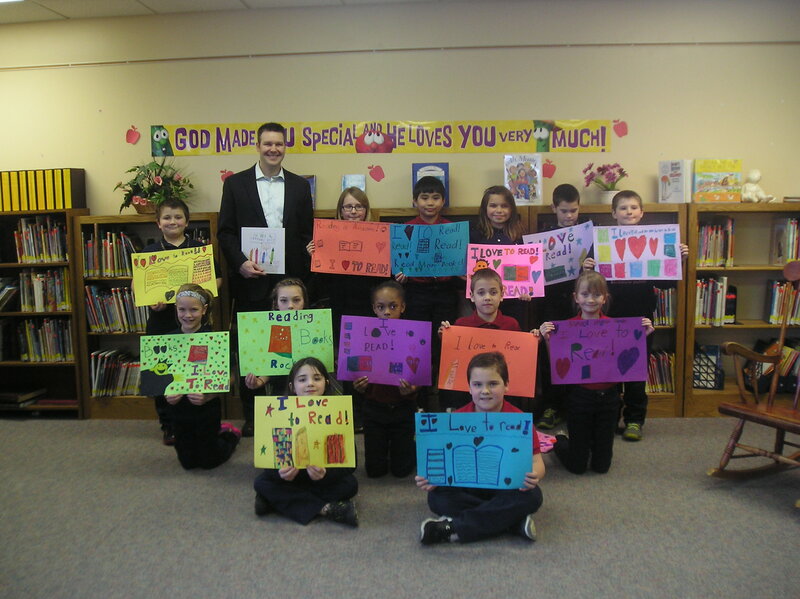 Corpus Christi School implements the curriculum and guidelines of the Diocese of Fort Wayne/South Bend, which follows the standards and curriculum, set by the State of Indiana. We see Corpus Christi School as a community, dedicated to lifelong learning and enriching the mind, body, and soul through quality education. We will, as the community of Corpus Christi, develop our students spiritually, morally, intellectually, and socially, supported by the doctrine of the Catholic Church and the tradition of Catholic education.